Promote Your Videos or Run Video/Text Ads on Other Popular Videos – We got you covered. We have specially designed the packages for Advertisers/Video ads and Youtubers to boost targeted traffic and conversions. Youtube is the most watched online media with over 1.5 billion users and counting. You can target every type of target audience you want to in any specific country you are looking forward. View our Youtube Ads Packages with pricing here or ask us for a custom quote. Youtube allows us to target the ad based on demographics, topic/interests, video remarketing, placements (on the choice of channels, videos, apps or websites), keywords. The exact audience or narrower theme we select the best and specific audience targeting we get. It helps in reducing costs and targeting to the very specific audience we want our videos/ads served to. Display Ads, Overlay Ads, Skippable Video Ads, Non-Skippable Video Ads, Bumper Ads, and Sponsored ads provide us multiple options for right Ad targeting. Become our PPC Reseller and get discounts + upprice cost to boost your profit. 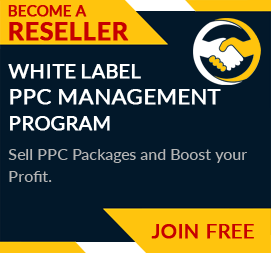 For PPC Reseller Program Join Here. Or Contact us here for more queries related to Video Ads. It is difficult promote business on a platform as big as YouTube without burning a hole in the pocket. However, with PPCPapa’s affordable YouTube PPC management packages, we have generated a great traffic on our website.